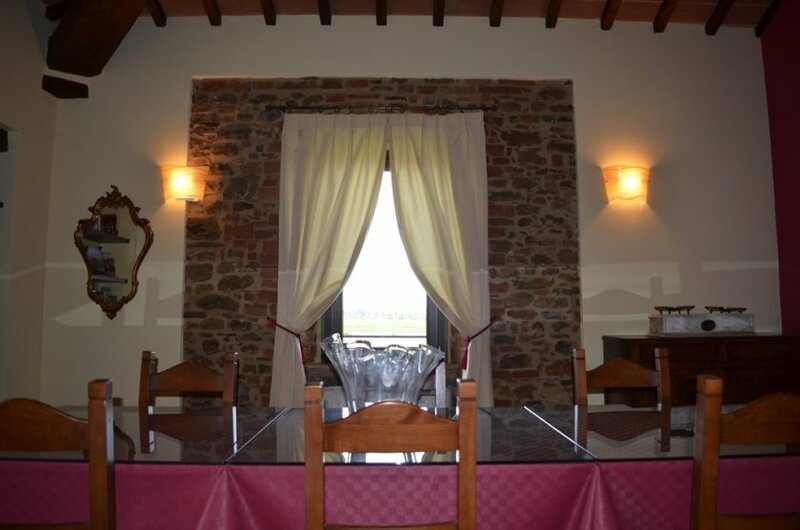 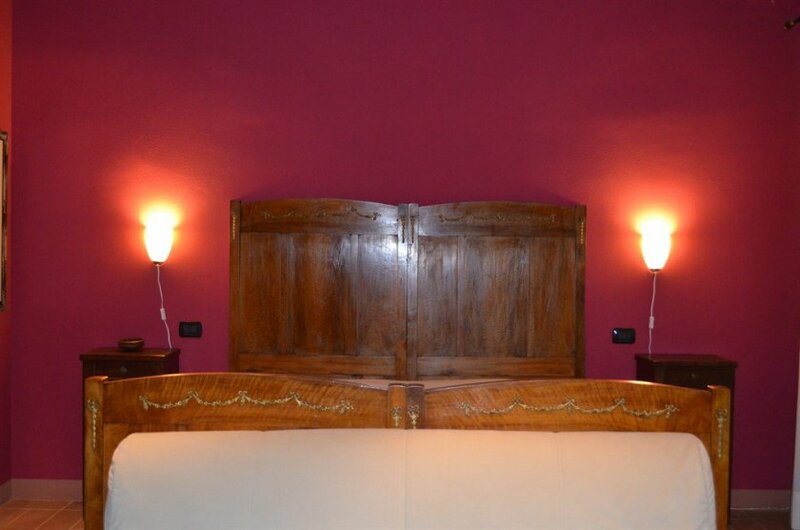 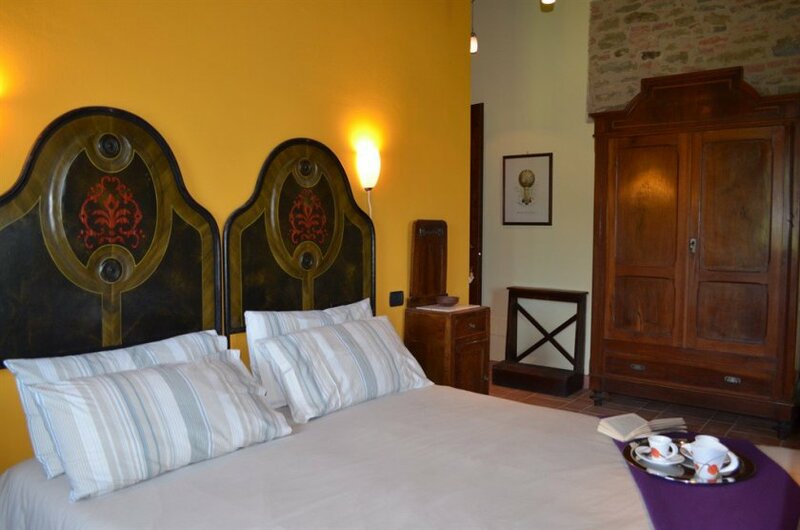 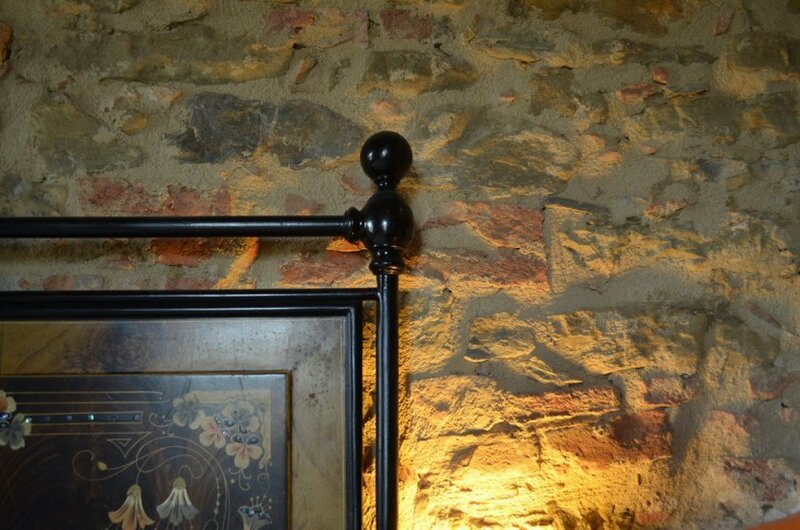 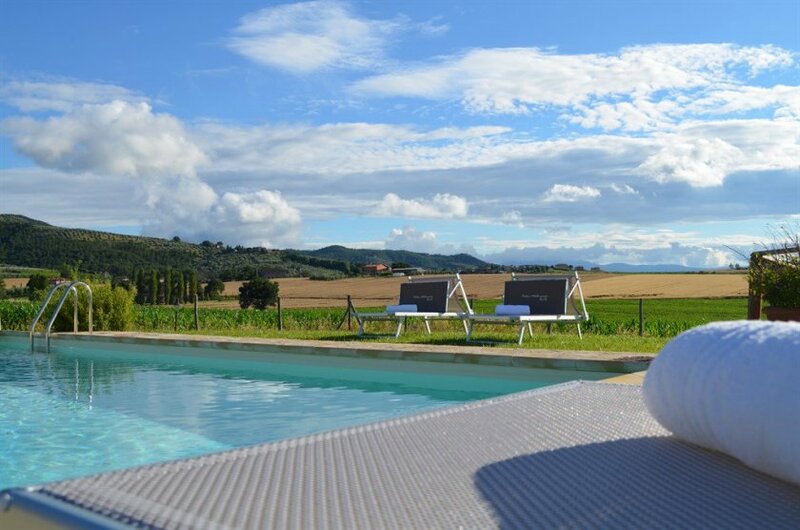 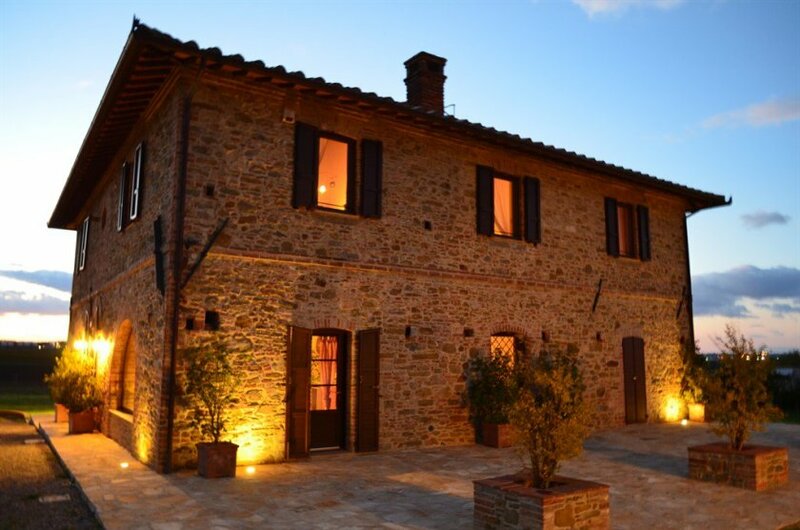 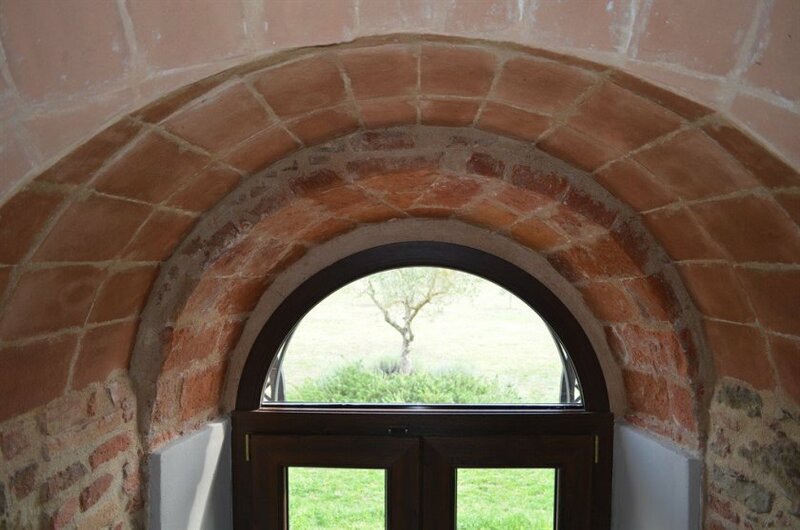 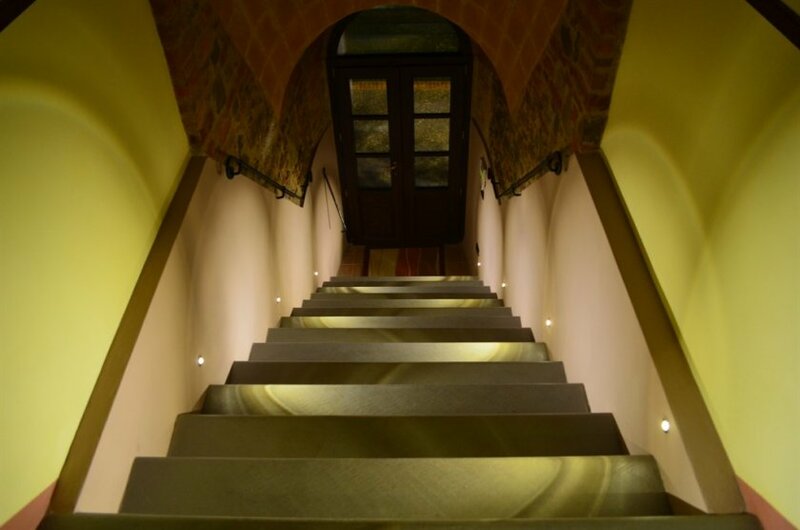 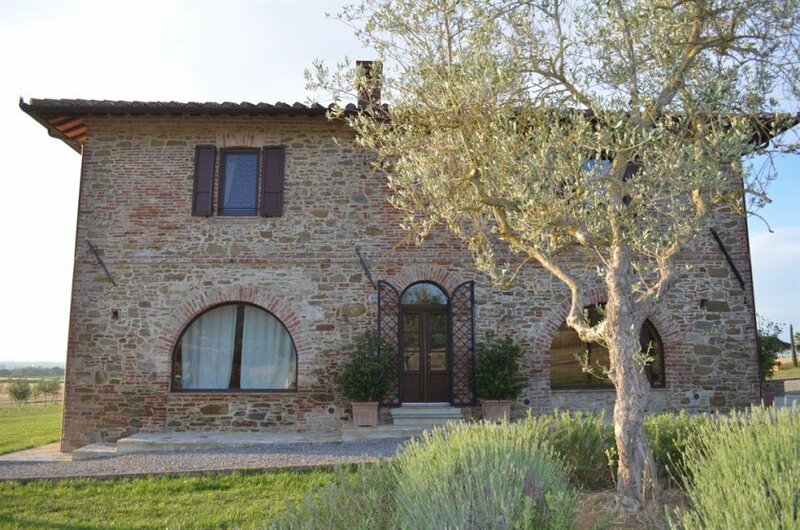 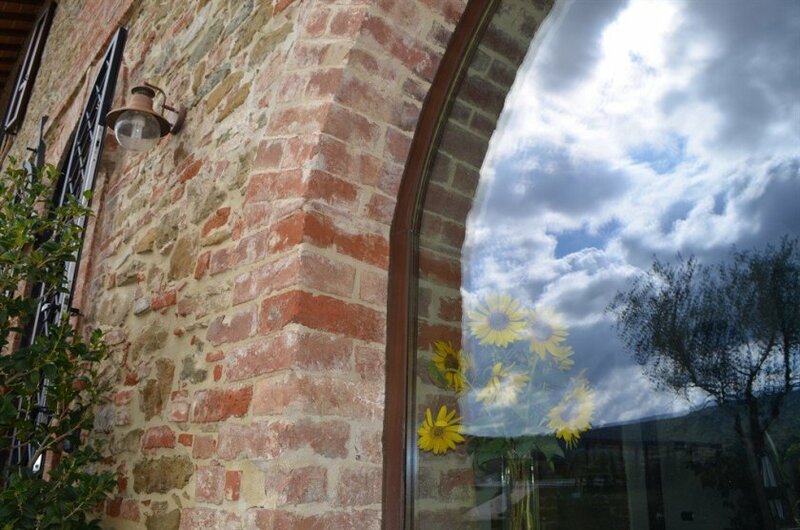 Podere Molinaccio is a luxury 19th century stone farmhouse only 2 km away from the medieval hill town of Panicale. 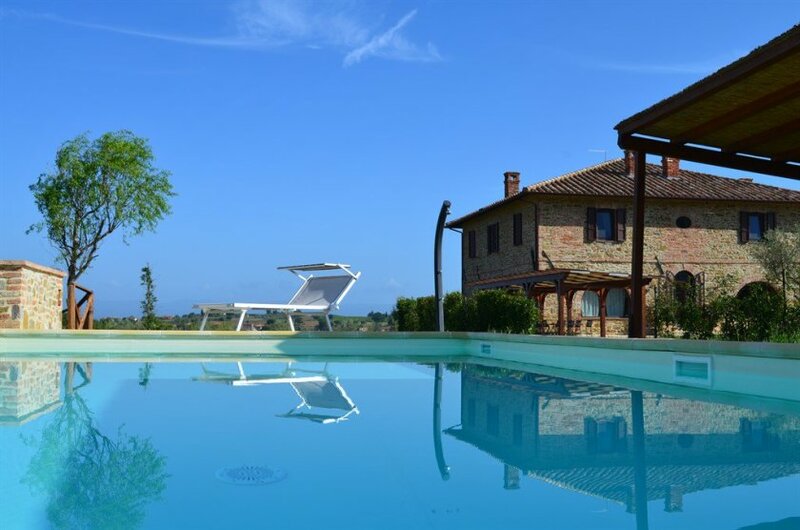 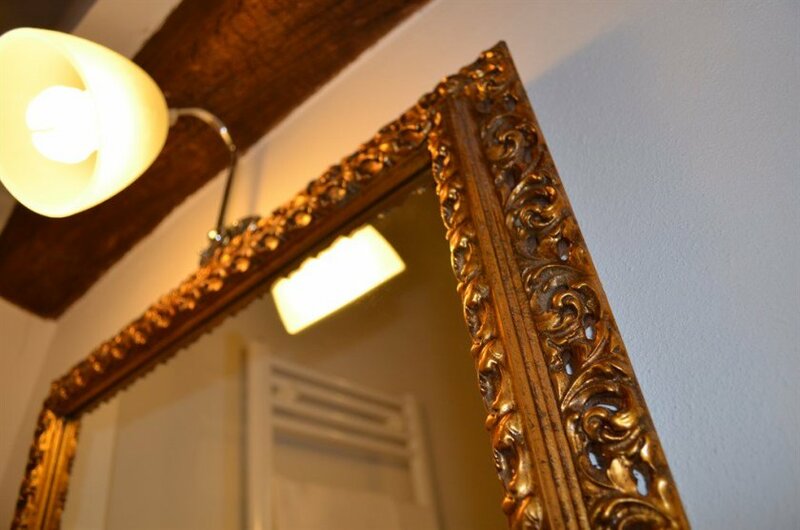 The villa offers its guests a breathtaking view over Trasimeno Lake hills and it is the ideal location for those who wish to enjoy total privacy. 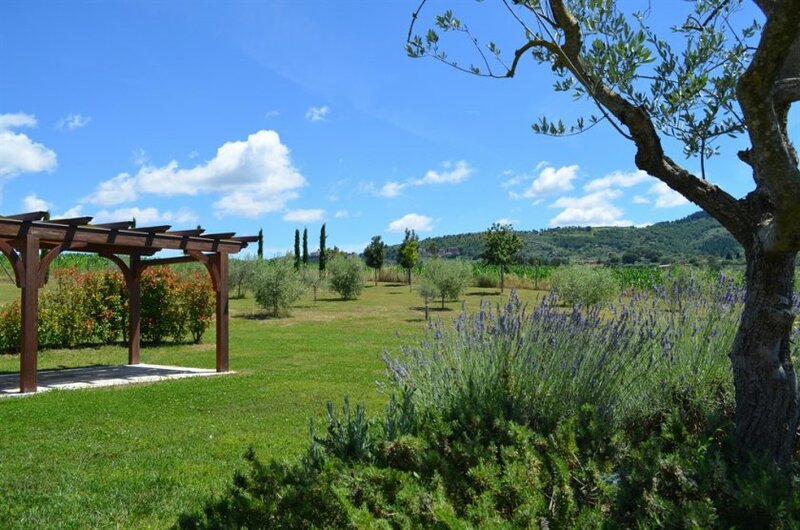 The property includes 1 hectare (3 acres) of fenced park with terraced olive groves, and it is a great home base to explore both Umbria and eastern Tuscany: 90 minutes south by train is Rome, with Orvieto and other hill towns along the way. 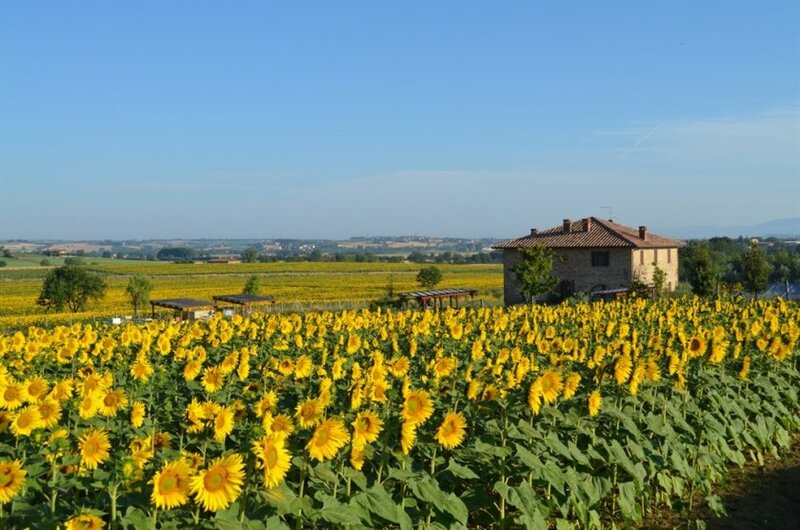 Just over 100 minutes north by train is Florence. 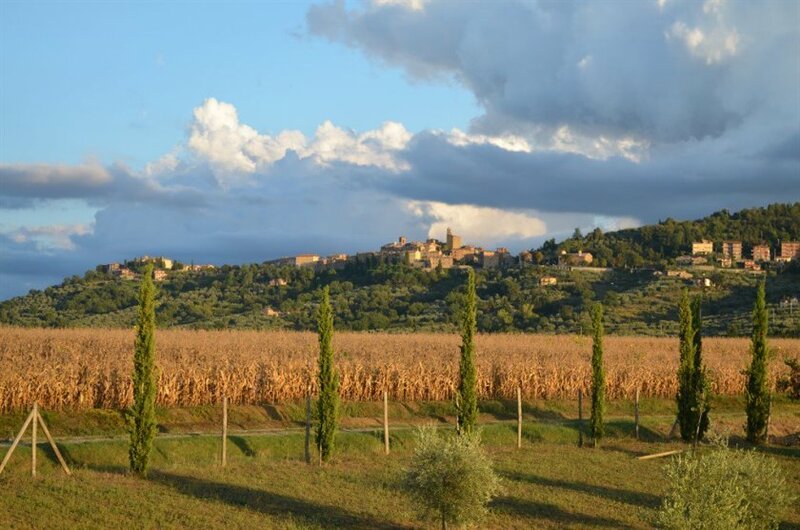 By car, you can easily drive to Cortona, Perugia, Assisi, Montepulciano, Montefalco, Pienza, Chiusi, as well as the impressisve nearby Castiglione del Lago fortress and Trasimeno Lake with its unique islands and many sporting, dining and cultural activities. 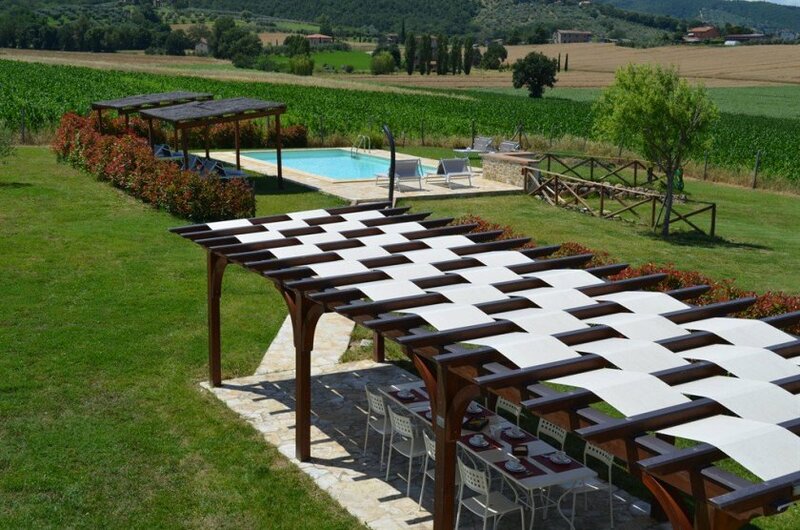 6 km from Podere Molinaccio is the famous Lamborghini Golf Club, with an horse riding stables in the vicinity. 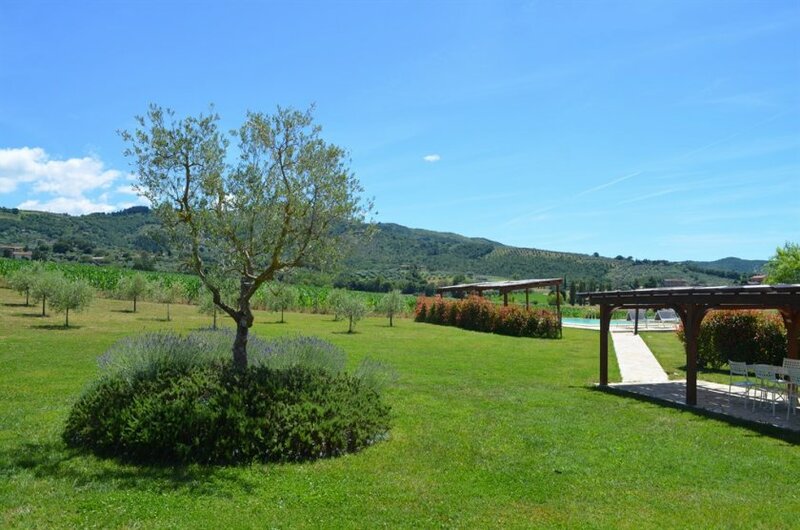 The whole property has high environmental stardards, it is entirely sustained by renewable sources. 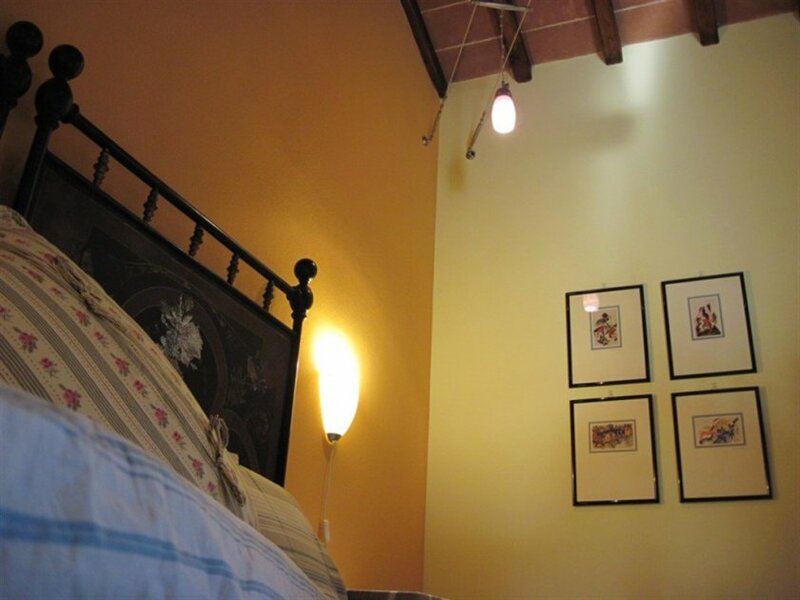 All the units are provided with heating/conditioning, Sat flat TV, fast Internet connection and mosquito screens. 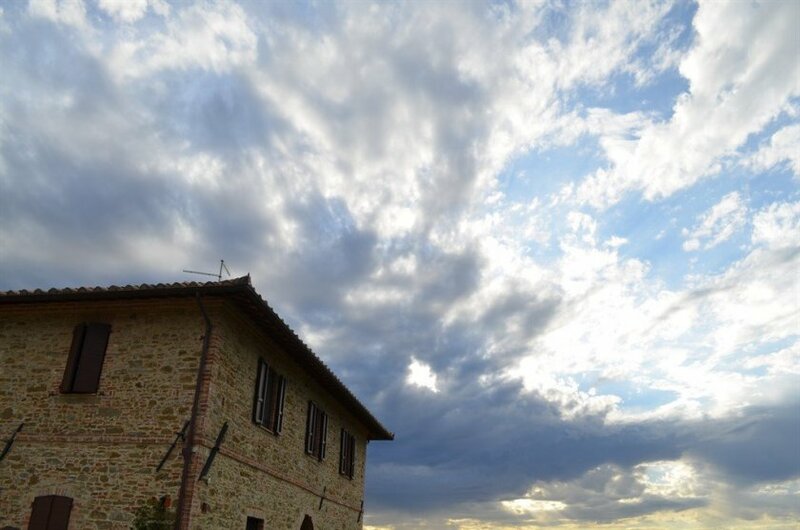 Changeover day: Saturday. 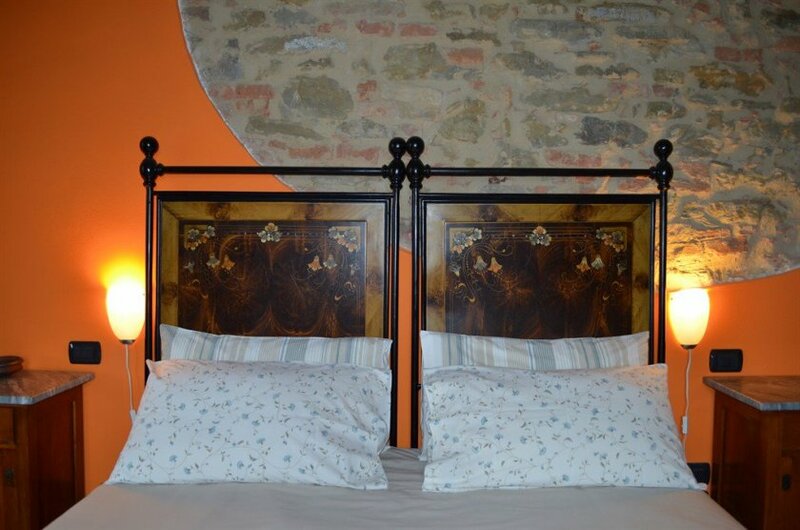 Shorter accommodation or different starts only after negotiation. 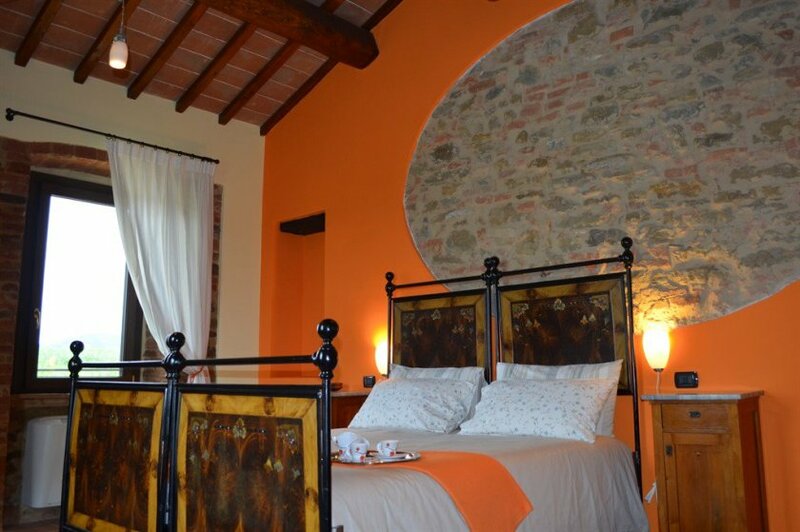 Special rates for longer periods. 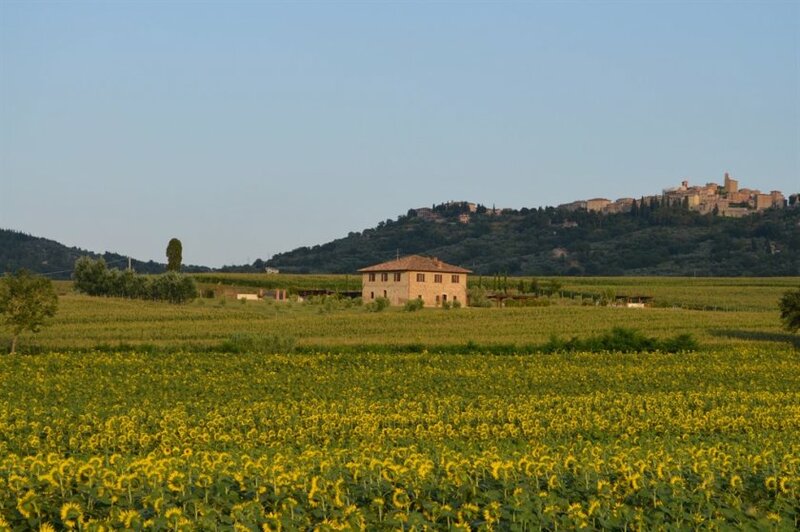 Between Arezzo, Siena and Perugia, Valdichiana, with more than 500 square kilometers of nature has been considered for years the archetype of the countryside. 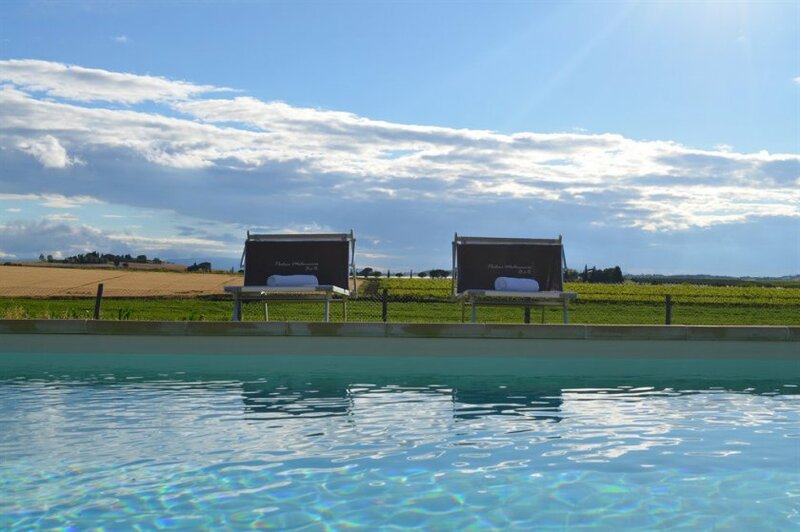 The famous waters of Chianciano Terme, the precious red wine of Montepulciano and Trasimeno hills, the beauty of the villages rich in history, make it a multi-colored territory ideal for holiday of taste and relaxation. 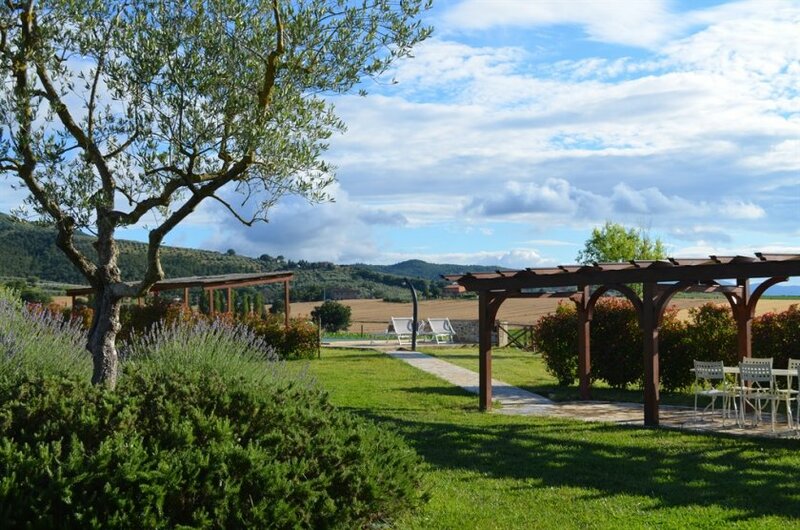 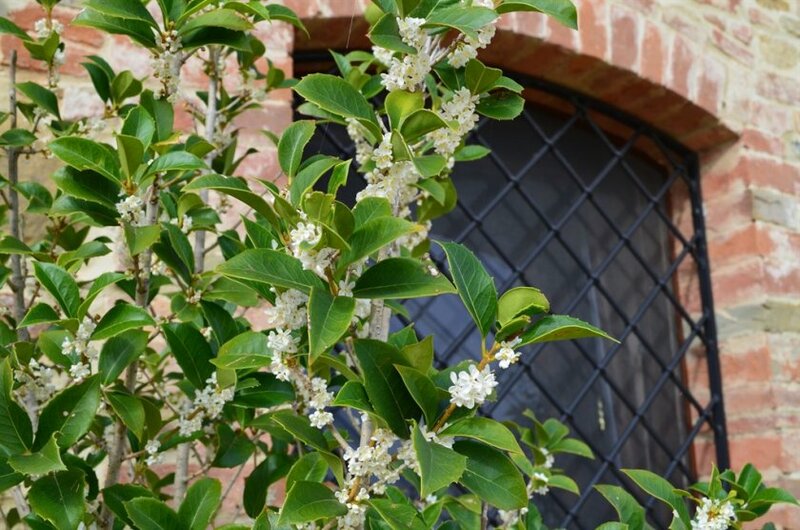 Experiencing with us the holiday in Valdichiana, known worldwide for its original cultural heritage and natural beauties!